I have been working on testing the performance of the new Nikon D4s to compare it to the D4 and see what advancements in sensor technology and image processing pipeline Nikon delivered in the latest revision of the top-of-the-line camera. Designed for sports, news and wildlife photographers that often have challenging light conditions and demanding environments, the high-end camera line is supposed to feed the never-ending thirst for more pixels and better low-light performance. Does the Nikon D4s deliver better image quality than its predecessor? While we know that the resolution of both cameras stayed the same, the big question is whether Nikon was able to enhance the existing 16.2 MP sensor and perhaps use better software algorithms to decrease noise – and that’s what we are here to find out today. Before we start pixel-peeping at the 100% crops, I would like to point out that the Nikon D4s images below were shot in RAW (NEF) format, 14-bit Lossless Compressed and processed via Adobe Photoshop (Camera RAW 8.4). All Camera RAW settings were default, White Balance was set to Fluorescent (4) on both cameras and all in-camera features / corrections were turned off. As always, everything was shot in Manual Mode with identical exposure settings using the same Nikon 24-70mm f/2.8G lens @ f/5.6. While the shadow details look a tad different, the overall performance at ISO 3200 seems identical between the two. Increasing ISO to 6400 again shows very small differences in the shadow area, where the D4s seems to have a little less artifacts. ISO 12800 and higher is where I expected to see bigger improvements on the D4s over the D4. While the D4s definitely looks cleaner, I just cannot see major differences here – I would say 1/3 of a stop maximum. More artifacts on the D4, but not by a huge margin. Now here is where things technically should look different, because the native ISO sensitivity of the D4 maxes out at 12800, while the D4s pushes that by a whole stop to ISO 25600. The above comparison shows “boosted” D4 vs native performance of the D4s. I looked at this one over and over again, back and forth and once again, I simply do not see major differences. Slightly different pattern of noise, but nothing that shows major improvements, as we had seen between the D700/D3 and the D3s a while ago. With both cameras boosted to ISO 51200, we have now reached very high noise levels that are beyond the comfort level for most photographers out there. And here we definitely see slightly different performance, with the D4s leading the game by having less artifacts and noisy color patches. The D4s also seems to retain colors a tad better. 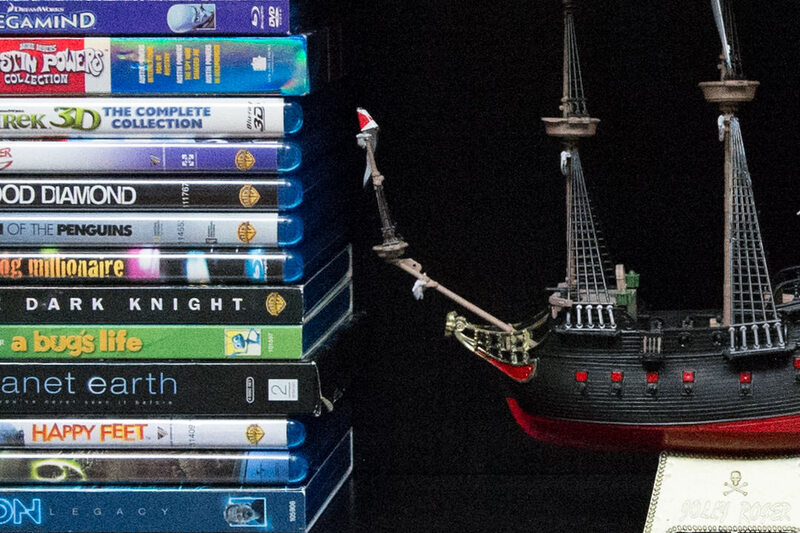 ISO 102400 is terrible on both cameras, although the D4s seems to look slightly better overall. If you want to see absolute mess with smaller details and colors completely lost, check out ISO 204800. Hard to say which one looks better here, because it is all just noise. The Nikon D4s introduces a new boost level of ISO 408600, which is presented above. Not sure why Nikon even bothered with it, since it is no more than a marketing gimmick. I am not sure if Nikon has reached the limit of the 16.2 MP sensor, because one thing is clear from the above comparisons – when looking at the RAW output, the Nikon D4s does not seem to deliver significantly improved noise performance over the D4. What I see above in some situations is a difference of under 1/3 of a stop, maybe not even that. Nikon said that it raised the base ISO from 100-12800 to 100-25600, but I just cannot spot much difference between the two even at ISO 25600. What we are seeing here, is similar to what we had seen before with the D4 vs D3s – only minor differences. Interestingly, it has been 5 years since the D3s came out, and aside from the change in resolution, high ISO performance has pretty much remained the same. Also, please note that such comparisons in a controlled environment only tell one side of the story. As Brad Hill and others have pointed out in the comments section below, results might vary in outdoor conditions. Brad reported an improvement of about 2/3 of a stop, perhaps even more in some conditions. We will continue our tests with the D4s and if we find differences when shooting in outdoor conditions, we will report them as soon as possible. Lastly, please do keep in mind that a camera represents much more than just high ISO performance. The D4s is Nikon’s flagship camera and has many great features to make it an attractive choice for many working professionals and enthusiasts. An in-depth review of the D4s has been posted, where we go over those differences. 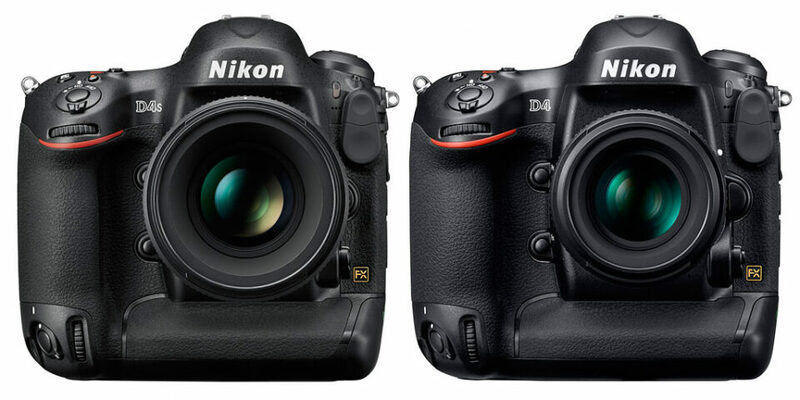 If you want to see feature differences between the new D4s and the D4, check out my earlier Nikon D4s vs D4 article. I didn’t know Adobe had released optimized D4s RAW codecs yet? Maybe a bit a early for testing? How about jpeg? Oh great – I missed that announcement! Well not great for the results, but I’m impressed by the speed Adobe shows. And your site as well! Thanks Nasim! Thank you for your quick testing on high ISO results on D4VD4s. Have you done any comparison between D800 and D4(s) ? I currently shoot with D800 and D7100 and was considering purchasing D4 for higher FPS and better color rendition etc. Nasim, I am not a pro, but rather just an enthusiastic amateur who can afford to spend money on having good gear! I presently use a D4 and a D300s, after having used my trusty D300 for many years until it was stolen in a break-in robbery. I have read a bit about the D4S, and your thoughts have reconfirmed my opinion that the D4 is still a top of the range camera. Anybody who owns a D4 would need psychoanalysis should they wish to part with their “hard earned” to upgrade to a model that is marginally superior at best! amateur here as well that presently using a d4/d800. thank you Nasim for the short comparison. when i first saw the sample from dpreview, i see no difference at all for the high iso but i wasn’t sure of myself (sometimes i don’t trust my eyes :) your comparison just showed that what i think about the difference from dpreview. however, i notice that the jpeg engine from d4 seems to produce nicer OOC at high high iso with deeper blacks from dpreview samples. will you be doing a full review for the d4s (sharpness, af performance and so forth)? i am sure a lot will be interested to read about it. Having glanced through other examples I had the impression that it is the jpegs out of the D4S which are much improved? Do you think that a similar D4 – D4S comparison using jpeg output could give a different result? So far, all the reviews and D4s vs D4 comparisons have reached almost the same conclusion, the slight ISO performance improvement is not worth the upgrade. However, the improvement on AF speed and accuracy is what makes it worth to upgrade to the D4s. I hope the next d5 will have a new af system and 24mp to start with for me to upgrade. There is no reason to bump the native ISO and I will be quite happy if they retain the ISO range on the next model. The d4 to d4s upgrade is like the d3s to d4 where the improvement is on af speed and accuracy with the exception that d3s to d4 have a resolution bump to make it worth upgrade. Yes, that’s most likely the case. Our team at PL will be testing the AF speed and accuracy intensively during the next 3-4 weeks and will provide a detailed report in the review. Nasim, it would be great if you could also compare auto white balance performance. This is important to me as I usually have to provide OOC JPEGs to clients and getting a more accurate color would be nice. Any testing of AWB with shooting people especially in artificial/mixed lighting if possible. What about a comparison between D4s and Df? Accordinto to DxoMark Nikon Df is the winner on High ISO performance. Those were lab results, it would be interesting if you can give you analysis. Vince, I have the data and I was going to publish it separately – the Df and the D4s look very similar also from what I see so far. Thanks Nasim! I am sticking with my D3S for now and the only way how Nikon can get my money in the future apart from incorporating better & larger sensor is built in connectivity and better software/menu system. Despite all the fancy stuff, this is still an old tech that’s just being pushed to the limits. Can you see a significant difference between the D3s and the D4s? I read your comparison between the D4 & D3s and you mentioned a few differences which none of them were image quality. Does the same stand for the D4. I own a D3s with a very low shutter count (under 7000) and I am completely happy with it. Only way I would upgrade is if the image quality was noticeably better, like with the D3 and D3s. Thank you in advance! Manual, there are definitely improvements on the D4/D4s over the D3s. First of all, the AF system is different and works much better with teleconverters (up to f/8 AF). Second, there are many features like enhanced Auto ISO, Exposure Delay Mode, better video, etc. – those would have to be evaluated on a case by case basis to see if they would make a difference for your needs. One thing for sure – image quality is NOT much better on the newest cameras, similar to what we had seen between the D3 and the D3s. That’s why I said that we have probably reached the limit for this particular sensor. Thank you for taking your time in answering my question. Your site is awesome by the way!!!! Perhaps sensor technology is reaching its limitations? The real innovations may come from behind the sensor. Meaning things that work the data different, make it easier to get data from the camera to other places easier and more simply, more “corrections” to the raw data baked in, etc. Or just new sensor technology. Eventually someone will come out with a viable product that is better than Foveon, affordable, and usable at higher ISO. Neil, I totally agree! If we are maxed out on the sensor, the biggest innovations will be with UI, features, etc. Look at the OM-D E-M1 – a small sensor, but excellent features to make it a really attractive choice for many. Beyond marketing fluff, perhaps very high ISOs might be of some use in surveillance work? Also, when shooting RAW, I am under the impression that the WB setting only effects the JPEG previews, and hence is not relevant to RAW images. Am I misinformed? By the way, love the site and will try to contribute to the forums. Thomas, you are right about White Balance and RAW files. It potentially can impact exposure a tad though, so I try to keep it consistent when doing these measurements. And thank you for your feedback! Are you positive that [auto] white balance affects exposure? This is an interesting question (it arose in a discussion with Thom Hogan). I can find no evidence that it’s true (based on experimenting) and it doesn’t really seem sensible (would you want to feed your light meter data through a white balance transformation before comparing to the scene database to assess exposure? it seems this would both increase computational cost AND reduce accuracy). I simply can’t see how WB affects exposure if shooting RAW in manual mode. It means that the camera is ignoring your settings. I can see that WB could affect exposure if shooting in automatic exposure modes, but I see no evidence that it does (on my D7000 or D600). E.g. if your camera thinks you’re shooting under tungsten lights and plans to dial down red and green (i.e. darken the overall image) it might decide to slightly overexpose to compensate — e.g. overexpose by 1 stop to “split the difference”. I could believe this occurs, but I see no evidence it does. Tonio, that’s exactly how I thought before I got enlightened :) My argument was that when everything is manual, WB does not matter. But I was told that it still does and can in fact result in slight exposure variances – enough to potentially invalidate camera comparisons! I’d be inclined to ascribe this belief to overinterpreting randomness (which is, after all, an incredibly common phenomenon) rather than an actual phenomenon. Goodness knows anything involving the analysis of noise is going to be subject to this problem. Nasim, as always, thank you for excellent review, great analysis. I just received my D4S by the way and testing it with the 800mm. My question to you: Would you say the the difference in ISO improvement between the D3 and D3S is more significant than the D4 and D4S? If so, are we reaching a limit of what is actually achievable in noise reduction and ISO sensitivity in CCD sensors? Christian, congratulations with your D4s and the 800mm. What a dream combo! I am sure you have seen posts by Robert and John here and both are very happy with their decision. Yes, the improvement in high ISO was pretty significant between the D3 and the D3s – I cannot see the same jump in performance between the D4 and the D4s, which is why I stated that Nikon has probably reached the limit of sensor performance + noise reduction / image processing pipeline. There is definitely room for improvement though. If Nikon comes up with a way to push more data, we could end up with a 24 MP+ sensor on the next generation D5 DSLR. More pixels means more data and pushing 11 frames per second for 24 MP 14-bit NEF files is certainly a challenge. While you will see some people say that bigger pixels equal less noise, it is actually not fully true, because you are not comparing the same sizes. When down-sampled, a 36 MP image will have very similar noise as a 16 MP image from a full-frame sensor. What gets affected, is dynamic range – larger pixels can store more data, which is why the dynamic range at high ISOs on low resolution sensors is typically better. But we are purely talking about dynamic range at very high ISOs – above 1600+. I like what you do, but have to respectfully disagree with your findings here. My own testing has shown a consistent 2/3 of a stop advantage in ISO performance of the D4s over the D4 in noise alone between ISO 1600 and ISO 12,800. And the camera is definitely doing better at retaining tonal range in highlights and shadows than the D4 (factors which also contribute to the perceived quality of shots). Overall – after shooting only about 1,000 shots – I’m comfortable shooting the D4s at a full stop higher (in ISO) than the D4. I doubt quality control differences between your D4s and mine explain the difference, but really have no alternate explanation for the discrepancy in the results. That’s great reading, what you’ve done. Also great shots. Thank you for your reviews, they are very helpful. I do not have a D4S, but looking at the D4/D4S comparison images available on the net I noticed that D4S has less details in the highlights at small ISOs. Look for example, at the forehead and nose of the man on the left in www.dpreview.com/revie…ikon-d4s/5. D4S highlights appear burned in comparison with D4. What do you think? Brad, thanks for dropping by! First of all, as I always say, take any comparison you find on the web with a grain of salt. And that certainly includes me. I tested the D4 and the D4s in one particular setting that I typically use to compare sensors. Other testing environments might reveal different results and that’s understandable, because cameras and sensors react to different lights differently. When testing cameras, I often resort to lab testing in a very controlled environment (among many others), because I know that I can keep the exposure and lighting consistent from shot to shot. When testing outdoors, you cannot have that guarantee, because outdoors light changes constantly. A small layer of atmospheric haze or clouds that might not be visible to your eyes could affect the exposure and the results. Unless you put two cameras side by side and fire them at the same time using the same exposure settings (shutter speed, ISO, aperture and white balance), I don’t think you could state that the tests would be 100% accurate. It takes a minute or two to remove one camera, set up another, focus, etc – and those couple of minutes could have changed the results due to slightly different lighting. I used to set my WB to Auto, but after I got schooled by Iliah Borg, I am now even keeping WB settings identical. Turns out that even WB can potentially impact the exposure, even if you shoot in full manual mode! You learn something every day :) To add to all this, there is one huge variable that a lot of people almost never mention and that’s probably because they do not know. I also learned this the hard way – the issue is often specific to Nikon. Remember that aperture lever on your lenses? Well, the aperture lever is mechanic, which means that exposure can vary from shot to shot when the lens is stopped down. So setting aperture to anything other than wide open can potentially result in slightly different exposures. Ideally, if one were to stop down a lens, you would want to use an older lens with an aperture ring, set it to one aperture and do not change it between different camera bodies. The new electronic aperture lenses (like the 800mm f/5.6E) do not have this issue, but any “G” type lens is affected. So if you see even a slight exposure difference between the shots, that’s probably the cause. And as you already know, even a slight change in exposure can adversely affect noise patterns. Next, there are other variables in place that people also rarely talk about. The Nikon D4 you have could have slightly different noise patterns than the D4 that I have. Yup, same cameras could have slightly different noise patterns. This variance can come from all kinds of different sources – different silicon wafers, different stitches, differences in materials between manufacturing processes, sensor age, etc. These difference can be as little as 1/16 of a stop to as much as 1/2! Yup, insane to even think that could be the possibility, but very true. I bet that if you were to put your D4 and measure its performance against mine in identical conditions, noise patterns would look different. This explains why you could potentially see 2/3 of a stop difference, while I only see 1/3. And lastly, remember that you are looking at shots taken in natural light and bright exposure, while I am looking at a dimly-lit environment. Just the lighting itself can produce totally different results. Now on to DxOMark results. I often use DxOMark for comparison – to see if their results are consistent with mine or not. And as you have rightfully pointed out, sometimes their results just do not make any sense. When you start fiddling with down-sampling algorithms, you are entering a whole new territory with a whole new set of variables. Algorithm, as the name implies, is a mathematical calculation based on a set of formulas. So there is also a potential for drawing slightly different results based on what the algorithm does. How do we know that the down-sampling algorithm reacts exactly the same on all images? We don’t. It is mostly consistent, but not 100%. Now I am not here to defend DxOMark, but you also have to understand WHY they down-sample. When you deal with older cameras and you are trying to compare them to new cameras with completely different sensors and resolution, how do you handle that comparison objectively and give a number to represent performance? I am sure when DxOMark started, they probably had some 8 MP cameras to test and they decided that it would become their “bottom standard”. And it would be foolish for them to increase this bottom standard, because it would invalidate ALL of their previous data. Why compare down-sampled images? Because that’s really the only way to do it more or less objectively. When you look at a 36 MP image at pixel level, its noise patterns will always be much worse than say from a 16 MP sensor. Yes, large pixels do make a different at pixel level. However, if you were to print both, you would end up with a much bigger image from the 36 MP camera. Now you are mixing up SQF here, because then one could argue that the larger print will show less noise, because you would need to move away from it to make it a fair comparison. It is quite apparent that if you were to take a loupe and analyze 36 MP vs 16 MP print from the same distance, the latter would surely show less noise. However, if we are talking about trying to objectively assess performance, it would be foolish to look at noise patterns at pixel level. You either have to step back from the larger print and view, or you would have to reduce the larger print in size to match that of the 16 MP. That’s why it makes perfect sense to down-sample images to similar sizes to objectively judge their performance. And that’s why my “bottom standard” is always the lower resolution camera – not a set number. I don’t do SQF and I don’t give numbers anywhere – I simply show 100% crops relative to the smaller resolution sensor in comparison. Now what happens when you down-sample? Yup, software algorithms take over. Not only do they effectively reduce noise by making pixels appear smaller and merging noise patterns, but they also show more details. What happens when we take a picture of a bird and we do not have 100% sharpness? We try to reduce its resolution to show more feather details, so the same concept here. But as far as noise levels are concerned, it is a fact that down-sampling reduces noise. So why not take the D800 at ISO 6400 and compare it to ISO 6400 on the D4/D4s? I don’t see anything wrong with doing that. Yes, you are no longer looking at pixel-level performance, but then that is the most objective way to compare sensor performance. And lastly, we do not know how the DxOMark software analyzes noise patterns. That’s also based on a software algorithm and we do not know how exactly it works and how it reacts to different patterns. I use Imatest software and I can tell you that there are too many variables to list that could affect the numbers. It is extremely complex science and it is way over my head. Software is written by humans and it is often far from being accurate or ideal. However, unless someone changes the code, it is at least consistent – and that’s the key when making comparisons. Please keep in mind that I am not including other variables in the discussion, such as lighting variances. Continuous lighting changes overtime, because lamps dim or get brighter, even after several hours of use. That’s why I avoid giving total numbers to compare sensors. A 1% change in lighting condition can adversely affect the results. In my view, the best thing to do is to re-test cameras every single time when doing comparisons – and that’s what I try to do. Not practical for DxOMark and other sites, but it works for me. More work, but at least I know that I used the cameras in very similar environments each time. Thanks for your detailed and considered response. I’ll keep my “response to your response” as short as possible! 1. I’m aware of the minute-by-minute changes that occur in a “natural” setting and, of course, the need to control for it. That’s why I waited until I had a completely overcast sky that was continuous in cloud cover. And why I made a point of taking the full range of shots over as short as time as practical. Close examination of the histograms confirmed what I observed in the field – there was no change in lighting during the test regime. 3. I fully understand the rationale of Dxomark.com in “normalizing” the resolution of the various cameras. But one has to be aware of the impact of that normalization on image noise and how it differentially biases their results (i.e., how it will make hi-resolution cameras like the D800 appear to perform better at high ISO’s than lower resolution cameras). There is an obvious flaw in logic when your normalization procedure differentially alters the actual value you are attempting to measure! The current single score of Dxomark.com has value when comparing cameras of similar resolution, but when comparing cameras of different resolution it is highly questionable. I have long argued that Dxomark.com should present TWO values for ISO performance: the one they currently do, plus one measured at FULL resolution. This would give users a much better idea how Dxomark.com’s published ISO values would relate to the usage they most normally engage in. So, if the user was mostly making A4 prints (regardless of the resolution of the camera they are using), then the value Dxomark.com currently publishes would be the one to examine. And, if a user wanted to crop like crazy and use D800 images for web display at native (non-interpolated) resolution (meaning 1 camera pixel = 1 display pixel), then the ISO value at full resolution would be the one with most relevance to them. Thanks for all you do and for your excellent contributions to the photography community. Sorry if I’ve hijacked your forum a little. At the end of the day what matters is that the end-user has as much good information as possible before making their purchase decision and hopefully our exchange will facilitate that. Brad, I apologize for the late response – been a busy week. Once again, my point was that the conditions I shot in are obviously different – controlled setting vs shooting outside. I asked Tom Redd (our team member) today to try doing a sample comparison outdoors and he was getting slightly different exposures between the cameras (that’s with everything manual, including WB), so despite the cloudy day conditions, he could not get consistent shots between the two. I am planning to conduct a similar test, if the conditions allow, and see if outdoor shots look any different in comparison to my indoors tests. As I have pointed out before, sensors do react to different lighting conditions differently and there are many other variables involved that could affect the results. And please note that I am not here to bash the D4s – I know it is Nikon’s best tool on the market today. The above comparison is simply a highlight of what I saw when testing it vs the D4 in a controlled environment. It is only one portion of the whole comparison – there are many other performance metrics that need to be worked on, such as AF performance, ergonomics, etc. In regards to DxOMark, it is not a perfect methodology, but it does give an idea on what to expect noise-wise from different resolution sensors. If two sensors produce prints of different sizes, it only makes sense to compare the two at the same size. And your argument that there should be two numbers, one for down-sampled and for full resolution is difficult to fulfill for one major reason – the numbers would be meaningless. Let me try to explain what I mean by this. A 35mm full-frame sensor measures 24x36mm. Today, you can cram between 16 MP (D4/D4S/Df) to 36 MP (D800) in the same sensor area. So we are dealing with large, vs smaller pixels. When software analyzes an image for noise, it takes a set area from the image – say a small square crop of 250 pixels by 250 pixels. This analysis is performed at pixel level, whether it is previously down-sampled or not. If I were running software to analyze an image at full resolution without down-sampling, the higher I went on pixels, the worse the numbers would look (we know that smaller pixels = more noise on similar generation sensors). Say the 250 pixel image from the Nikon D4s gives me some number, like 1000 as the benchmark of noise performance at ISO 6400. If I were to use a 100% crop without down-sampling from the D800, my number would be significantly worse, something like 500 from the D800. Does it mean that the D800 is potentially twice worse than the D4s? At pixel level, sure. But is that how you look at images? Again, it is the question of comparing print sizes – it is meaningless to try to compare a 24 inch print to a 12 inch print. You would want to see prints at the same size to try to objectively judge which one looks better. If we follow your request and try to give a number at full resolution, then that number will get worse year after year. If you observe the last 5 years, we went from 12 MP to 16 MP to 36 MP. The next jump is supposedly at 54 MP. So if rely on software to give us numbers for full resolution, the D3s will always be the king! The Nikon D5 could have a 24 MP sensor, but the software will say that it is worse than the D3s at pixel level. So why trust such skewed results? It is a fact that the Nikon D4 is worse than the D3s at pixel level. Once you down-sample, however, the D4 looks very similar and in some ways better (more details due to down-sampling). The only potentially logical thing to do would be to try to establish two baselines – one that measures noise at 8 MP and one that measures noise at something like 24 MP. But then many cameras, including the D4s would fall out of the second baseline. Still, you would be down-sampling images from the D800/Sony A7R and high res medium format, so you potentially have the same problem at some point in the future. I hope what I said here makes sense – let me know if you have any questions. Does this mean that the Canon gear is worse? No, at the end of the day a stop or two of dynamic range difference might not mean much and slightly worse ISO performance is not all that important. And you are right – taking into account JUST image quality and grading cameras based on that factor alone is just silly. Canon cameras have a lot to offer besides pure sensor performance. I have shot with the 5D Mark III before and I loved it. Without a doubt, it is a fine tune tool for the job. I believe it is our own stupidity that leads us to make decisions solely based on DxOMark or some other website’s score. We all need to realize that cameras represent far more than dynamic range, colors and high ISO performance. The Olympus OM-D E-M1 is an amazing camera, but if we look at just DxOMark, it sounds like one of the worst cameras out there. Scores are certainly not everything…not even close! And the same applies to the D4s. And please do not apologize – it has been a healthy discussion and I have been thoroughly enjoying it. Appreciate the feedback and I also thank you for what you have done, I really enjoyed the visit to your website and will be checking it out more often in the future! I agree that cameras are far more than dynamic range, colours, and high ISO performance – that was my main point! What is most illustrative of this point – and this is the very reason that I initiated this thread – is that many (most?) of the reviewers and “testers” of the D4s that are simply shooting test subjects (most of which that contain no out-of-focus zones and especially no out-of-focus zones that have colour or colour transitions in them) are claiming it is virtually identical to the D4 (in terms of ISO performance), while those using it in the field are finding it to be a very different animal (and one that is superior to the D4). This makes me deeply question the value of the testing being done on the D4s and the metrics being produced (especially on ISO performance) by some (like Dxomark.com and others). I would further suggest that this low correlation between these metrics and image quality as perceived by the end-users makes them close to useless! Unfortunately, many users take these metrics and DO consider them to be strong correlates of image quality – and it influences purchasing decisions. • On your explanation on the “meaningless” of full resolution noise values: Your basic assumption is that signal-to-noise ratio is perpetually fixed at the pixel level for a given size of photo site. If this were true, then a 12 MP camera would always have the same amount of noise regardless of the generation of the camera. This is, of course, false. A perfect example of this would be to compare the noise (at the pixel level) of a D3x to a D600. They are nowhere near identical (the D3x is dramatically noisier) – at full resolution, or after resolution reduction. Same pixel pitch, but completely different noise characteristics. Similarly, current DX cameras of much higher resolution than the last “pro” DX camera (the 12 MP D2Xs) produce MUCH less noisy images (when evaluated at full resolution) than the D2Xs did! In short: For full resolution use – yes. Examine full resolution D800 images and D4s images at ISO 6400 at 100% magnification and the difference will be instantly obvious (yet Dxomark.com values place them virtually in a dead heat). Obviously the amount of difference in noise between these cameras will change depending on HOW the images are being used (viewed on a monitor vs. as a print) but the difference at full resolution is far greater than Dxomark.com’s “post resolution reduction” scale suggests. The critical point: People DO use full resolution images (or portions of full resolution images in the form of crops) without resolution reduction and having a feel (via having a noise value measured at full resolution) would give them a feel for how the various cameras compare. At some level there is a disconnect. I guess over time we’ll see what the general consensus on the D4s is! Brad, great points and I certainly agree with some of them. Mainly, I do agree with the fact that tests are often too subjective and do not always represent real use in the field. The same thing could be said about lenses – if I started talking about lens tests, your head would be spinning in no time! Everything from lens to target distance, lighting conditions, chart size, chart resolution, camera resolution and so much more! A lens could show one result at a certain distance and a completely different in the field, especially at infinity. A chart would never show the fact that the IQ of some lenses like the 200-400mm goes down with distance. So on and so forth :) That’s why when testing lenses and cameras, the big part of the test for me is how it does in the field. How it feels, how it shoots, how it performs overall. From what I see so far, the D4s does not disappoint as an overall package. Lots of great things about it, even compared to the D4. We’ve posted a number of positive previews on the D4s – check out some posts from Robert Anderson and John Sherman. Hopefully, I will be posting more later as well :) And I will certainly be doing more D4 vs D4s stuff when shooting in the field, rather than purely focusing on lab tests. On full resolution tests, I think you misunderstood what I was trying to say. I am not talking about comparisons of very different generation cameras. The Nikon D3s has the same pixel count as the D3 and yet its pixel-level quality was very different – up to 1.5 stops better from my observations. It is a given that a modern sensor today performs much better than a sensor from 5+ years ago. We are not only seeing improvements in the sensor manufacturing process, but we are also dealing with a very different image processing pipeline, most notably significant improvements in noise suppression algorithms. However, the jump to higher resolution sensors is moving much faster in comparison. Despite the fact that the pixel quality has improved over the years, smaller pixels will still be at a disadvantage compared to larger pixels. This is clearly seen on the D800 images vs D4/D4s – much more noise at pixel level. But again, it depends on how you are looking/comparing. If I shoot with the D800 and you shoot with the D4 and we both make the same size resulting image for say web publishing (typically between 800 and 2048 pixels), the noise levels at most ISOs will be roughly the same – and that’s what DxOMark shows. That’s what downsampling achieves. Where there will be difference is at very high ISO levels, above 12800 (boosted ISO). I have done a few such side by side comparisons (and I can provide a comparison of the D800 vs the D4/D4s) and you can see exactly what I mean. Yes, people do look at pixel level quality, but they tend to forget that a high-res image can be made smaller and the noise levels can be significantly reduced, almost to the same level as lower resolution cameras. Now on to why trying to quantify sensor of different resolutions is meaningless. I apologize if using the word “meaningless” sounded in any way arrogant or harsh from my side – that was certainly not the intent. The reason why I said that, is because the same logic applies to testing lenses. Once you change one part of the equation (the camera), the math is broken. Software can only analyze images at pixel level – it has no logic to apply different calculations depending on the sensor size/resolution. Hence, it is important what you feed to the software to make that calculated performance metric. If we go purely by pixel quality, large pixels will always win. The D700/D3 from 5+ years ago will stand far ahead of the D800! Now for the example’s sake, let’s take 3 different cameras: Nikon D4s, Nikon D610, Nikon D800. From the resolution standpoint, we are dealing with 16 MP, 24 MP and 36 MP images – all very different. We are also dealing with very different size pixels: 7.3µm vs 5.9µm vs 4.8µm. Sensors are of similar generation, all within 2 years of making, so it is safe to assume that the software will place the D4s at #1, D610 at #2 and D800 at #3 for pixel-level performance. However, does it mean that the sensor on the D610 is better than on the D800? You might argue that it is, but in reality there is much more than just pure pixel-level quality. For such measurements, larger pixels will always win. If we add the D700/D3 to the mix, it might perform about the same as the D4s (at pixel level), but it will surely stand above the latest generation high-resolution 24MP+ sensor from Nikon. What kind of message are we sending to the end users? That smaller resolution is the way to go? Why aren’t we seeing 10 MP sensors with amazing low-light qualities then? Can you imagine what a 10 MP sensor could do if you were to take the latest sensor manufacturing process and image processing pipeline at pixel level? We could probably see ISO over 1 million! One more quick example. The Nikon D3s is already two generations old. But its pixel-level quality is amazing – it surely outperforms the D4 and perhaps even the D4s. If we use full resolution images for the benchmark and purely look at each pixel, the D3s will stay as the “king” for a long time, especially if Nikon keeps pushing more resolution (which it will). Are you OK with the D3s being #1, followed by D4s at #2, followed by D4 at #3 and then if the D5 comes out with a 24 MP sensor, that it would be #4? Doesn’t make much sense, does it? I seriously doubt that Nikon will make such huge advancements in image processing pipeline that a 24 MP sensor would look better at pixel level than a 12 MP sensor. Once again, the jump to more pixels is just happening much faster. That’s why I believe that the only fair way to compare sensors is to compare them at similar size. Lastly, going back to the D4s vs D4 performance comparisons – let me compare the two in daylight conditions and see if I can spot major differences. And perhaps in parallel, you could test your D4s + D4 in a low-light environment and see if you can still observe a 2/3 of a stop advantage? It looks like Brad and I both respectfully but firmly agree to disagree with you LOL. Not sure I could state the case any better than he did, but I’m seeing what he’s seeing in my daily professional use of the camera. It’s quite frankly self-evident and I didn’t need to run comparison tests on my D4 bodies before shipping them off. You also seem to be saying that at the pixel level, the D3S is still “king”. None of my clients nor myself are looking at pixels, we are looking at *images*. And the images that are produced by the D4S are simply *better* than the D3S with regards to overall quality, color, WB, blacks, detail, clarity, noise (yes) and, oh yeah, resolution. But then all the other things (like AF) are better on the D4S too. Please keep up the good work, very much enjoy your reviews, thank you! DMT, no, that’s actually not what I am trying to say here – my point is that we should NOT be looking at pixel level quality. If we do, then the D3s will come out better than all other cameras. Instead, we should be looking at the overall *image* as you rightfully stated. This means that images should be looked at down-sampled, rather than at pixel level. We should not be looking at the noise that the D800 produces at 100% view – we should be looking at the noise produced at equivalent resolution as the D4s (16 MP), if we are comparing to that. I don’t doubt that the D4s produces better overall images than the D3s – it certainly does. If it didn’t, Nikon would not have made it. But it only does with one condition, that you are actually looking at the “overall” image. And that’s precisely what matters, Nasim! The overall image!!! Just food for thought – no need to respond. You weren’t looking at image quality, just noise. And here you are equating “image quality” with “noise” and I believe the resulting statement ends up being much more damning of the D4s than it should be. I’m not trying to be disrespectful with this suggestion and my sincere apologies if it comes across that way. But the reality is many viewers will read ONLY the summary and I think it’s important it accurately reflects what you actually found and that leaps from the single variable called noise to the multivariate characteristic we call “image quality” are avoided. Done (before my first post here). Result: 2/3 of a stop advantage to D4s between ISO 1600 and 12,800, with one stop advantage at ISO’s beyond 12,800. Completely consistent with the results already posted on my blog. Good fun and useful – thanks for the great exchange and perhaps we’ll cross paths again in the future! ‘Nuff said. I think you’re being incredibly fair and open-minded – who could ask for more? And I think the revisions you made to the summary are absolutely spot-on and very well-worded! I’ll post a new blog entry on my site as soon as time permits that will carry the same “results may vary” message (but a few looming speaking engagements/slide presentations may delay this up to a week). At the end of the day – just like with the most “objective” science – biases and preconceptions colour what we see and experience. Have a good week yourself and thanks again for the exchange – I think we ALL benefitted from it! I have been reading both of your sites for some time now and I found this conversation between the two of you quite entertaining. You both have excellent web sites full of useful information that has assisted/reassured me in several of my purchases. When the gear gets to the level it is at now it must be very hard to find these small differences and quite understandable that slightly different views emerge. I read many other sites as well and do in fact take the provided information with a pinch of salt. Speaking only for myself, I prefer to read whatever information is available, (especially conflicting) to help me chose what is right for me. I have to commend you both for keeping your cool with this topic as it could have quite easily gone pear shaped. Nasim, you’re only know learning that there is a relationship between WB and exposure? WOW! That’s been known ever since color film was introduced in the 1940s and even since the advent of the digital camera by Kodak-Sasson since the 1970s! Thanks for the enlightenment! If you have material that shows how exposure is affected in manual mode (same shutter speed, aperture and ISO), I would love to see the material referenced by you. I think you’re confusing the effect of adding a corrective filter (which means you lose light and need to increase exposure) with metering. Before TTL metering people had to adjust their settings using heuristics to compensate for filters, including filters designed to correct white balance. After TTL metering you again had an exposure impact (but it was automatically compensated for). When you shoot digital, the same number of photons are going to fall on your sensor regardless of how the camera thinks the white point is. Now, if the camera is planning to downscale red pixels (say), it might decide to adjust exposure accordingly — does anyone know if this is true? I have tried to verify this experimentally with no result. Also note that your camera should at least ignore white balance for purposes of metering and scene matching (modern matrix meters have a scene database which they compare the metered scene to in order to guess if, for example, the subject is backlit or in snow). I assume that correcting the matrix samples via white balance would be a stupid idea. OTOH, I could see the matrix data feeding into the scene database in order to guess the correct white balance setting, and from there adjusting the exposure to compensate for the hue shift that will take place when converting the RAW data. I don’t think “D4 upgraders” is at all the target market for D4s. Target market is pros who wear out their D4. If amateurs holding D4, D3s, D3, D700, or DX bodies happen to want to move up, well, the more the merrier, but that’s incidental. If Canon users want to switch, fine, but that is also incidental. When the number rolls over to “5”, that’s when the siren song will go out to the upscale enthusiast, with a much more robust marketing campaign than “yeah, it’s over there under glass, it’ll be out in a couple months, fear not”. Personally, I’m going to pass on both of these camera. I prefer to hold out for the D6s, which is sure to outclass both the D4 and D5 series as well as the D6 in terms of resolution, AF speed, and ISO performance. What an excellent thread. Thanks to all posters, but especially to Nasim (of course) and to Brad Hill (stunning quality in those pictures). Fabulous insights, a degree of controversy, and all conducted by genuine enthusiasts who seek to enlighten and inform, all the while never veering from mutual courtesy and respect. I’m still pondering whether or not to switch from D3s to D4s, with all of the expense which that will incur, and this thread has been SO informative and fascinating to read. Nasim, great website with lots of valuable insights and info. Thought I’d chime in this subject. I must concur with Brad, and add that in real world professional jobs over the past two weeks that the D4S shows at least a 2/3 stop advantage at what I consider medium ISO (3200-8000) and about a full stop at 8000-51,200. It’s not just the noise but the clarity, detail in the blacks, color, white balance and overall look of the image (this all 14-bit NEF I’m shooting). The problem with pixel peeping is that is misses the overall impact of the image and the multiple different things that add up to increased image quality. The D4S *does* have better IQ at higher ISOs, but that’s only part of the story. The really big thing is the AF, which is simply stunning, along with over a dozen detail changes to the camera’s operation that really add up to a significant upgrade. How significant? Enough that there was no hesitation on my part about replacing all three of my D4 bodies with new ones (yes, “D4 upgraders” *are* part of the target market). Maybe not so much for someone not shooting professionally full time every single day, but for those shooting hundreds of thousands of frames a year it is instantly noticeable how much better the D4S is…just like the D3S was over the D3. I’ll take every advantage I can get, no matter how “small”. The D4S is far and away the very best camera I have ever used (and I’ve shot with most systems). As for anyone pondering upgrading from the D3S…it’s not even close to what this camera can do (and I *loved* the D3S). Why some D3S owners continue to cling to the idea that it’s the “king” of the low light cameras is beyond me. It’s not. The D4S is. Thank you for such a frank assessment of D3s v D4s from an highly experienced user of both. Time to take the plunge, methinks. The IQ assessment is a complex and controversial matter that begins from the definition of the characteristics of illuminants to arrive to physiology of the human eye. Laboratory data are objective and indispensable, but in real conditions play an essential role also factors such as the “perception” and “the accuracy of the measurement system of the camera (exposure and WB)”. The contribution of these factors is most important in the harshest conditions that occurs at high ISO. For example, all else being equal, the images of the camera that reproduces the grayscale in a way closer to human perception will appear better to the final observer. A measurement system that guarantees the most accurate exposure and WB under real conditions, provides an additional benefit for the perceived IQ. Etc. The sum of many small improvements in all areas provides a dramatically improved results and can justify the discrepancy between the lab-tests and the results in the field. The same applies to cameras. Pixel-peeping D4S noise tells you almost NOTHING about why this camera is so special. Not criticizing your tests in the slightest, they’re quite good, but just like you said they are only one side of the story. Yes, thank you, and I responded to that above as well. But part of my point is that there is more to noise/image quality than what DxO and other tests are showing (as Brad also pointed out above)…and that your “high ISO comparison” (good as it is, best I’ve seen anyway) also does not fully reflect real world results…there is more to the high ISO story than what these tests show. For the event work I shoot, I often photograph banquet rooms beautifully decorated and lit with colored light but still VERY dark. With the D4 (or D3S), I had no qualms right up to ISO 8000 (with flash dialed down) before hesitating. I’m seeing that I now get similar results (noise/image quality) at ISO 16,000 with the D4S before I start pausing. I’d post a link from my blog demonstrating this, but it looks like Chuck Coughlin (below) would have a problem with it. However, my name on this post is linked to my website (like Brad’s) so folks can still go looking if they wish. As a tool, I can do MUCH MORE now with the D4S. *This* is what’s important in a new professional flagship camera…at least to a professional. DMT, I am sure it does. Again, I am not here to say that the D4s is a bad camera. Simply sharing what I see from the image quality perspective, taken in one controlled setting. Maybe get out in some uncontrolled settings with it? I would agree 1/2 the time you are 2/3’s right. Agree to disagree but it seems to this reader you did try and hijack his blog while including a link to yours. Show a little respect and if you feel the need to continue to harp, send him a private e-mail. And for what it is worth i am sure my father is bigger than your father! Chuck, come on bud, no need to go aggressive here – it is a friendly discussion and I am sure some people find these discussions helpful. Let’s not get personal over a camera. Simply not worth it. I’m just an avid amateur, but I thoroughly enjoyed the learned and gentlemanly interchange between Brad and Nasim. Great reading, thanks much to each of you. Wholeheartedly agree. See 32, above. Big contribution from DMT as well. Nasim, thank you very much for trying to compile objective comparisons of the various Nikon cameras. As a rank amateur (and being stuck in Africa, where things are more difficult to come by),I often use your comparisons as one of the bases for my decisions and opinions, as it is not really possible to compare cameras for myself. I am currently thinking about upgrading (although in this case due to our rapidly weakening currency it is likely to be a very long process) from the D7000 which has served me well for nearly 3 1/2 years now. I am primarily a nature photographer and focus heavily on small and agile birds. I use a 500mm f4 lens, and am highly unlikely to be able to upgrade that any time soon. My dilemma is that Nikon really doesn’t currently have a sensible upgrade from the D7000 (I feel the D7100 is to close in performance for the 70% increase in price here in SA), and am concerned about changing to full-frame as I already usually have to crop heavily. However, in terms of image quality I am still quite happy with the D7000 (reading your and other work I suspect that may be in large measure due to not having experienced full-frame yet), but there are three things about this camera that bother me. Firstly, and least importantly, the size of the buffer. Secondly, and more importantly, I often bump the mode dial onto a different mode (mostly we are confined to cars here due to the dangerous game in our parks and their government’s opinion that we are all idiots, and you can imagine that being the driver and the photographer and with a lens that large, space is at a premium and things often get in the way of other things), ending up with useless photos.Most importantly though, I feel the need for a more responsive AF system. I see lots of photos of small birds taking off toward the photographerthat I simply cannot emulate as my camera is still focusing on where the bird was a few seconds ago. I would therefore also request that you develop and include an impirical test on AF performance and response. I have seen one test where the photographer used a metronome placed at a 45 degree angle to the camera that you might be able to adopt fairly easily? I know that I’m late to the party but, this might be one of the best review and discussion on cameras I’ve come across. The exchange between Nasim and Brad was very close to a tutorial for someone like me.